I feel so far behind. I don't even have my hair yet. I really need to get on this. 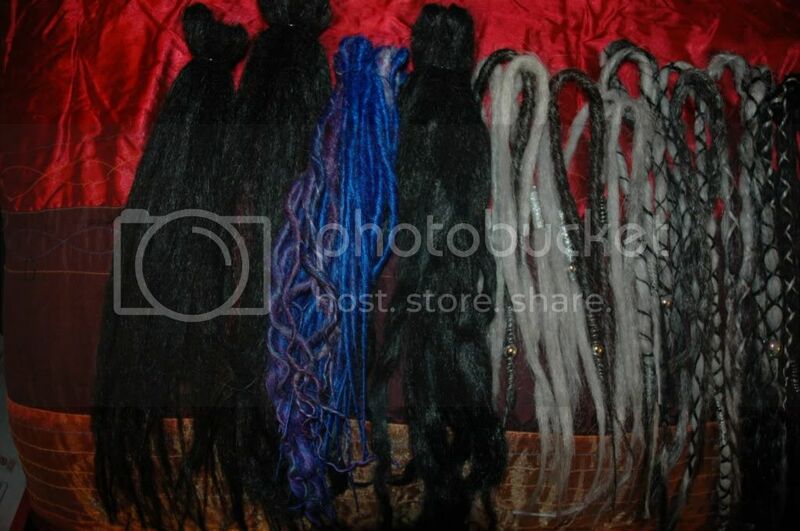 I think I will take a look through my hair collection today and see what else I will need for the set I am doing. I've got all the hair and should be starting next week!! Mines coming too. I'm behind and now my house is being sold so I have to move and it's going to be a NIGHTMAAAAAAAAAAARE! LOL. Ahh I'm sure I'll get there. We can ship once we are done right? Cuz like I think ill be done in about 3 days or so. Just need do some minor things to the dreads before sending them . dread_addiction wrote: We can ship once we are done right? Cuz like I think ill be done in about 3 days or so. Just need do some minor things to the dreads before sending them . I just sent out Jean's dreads today. 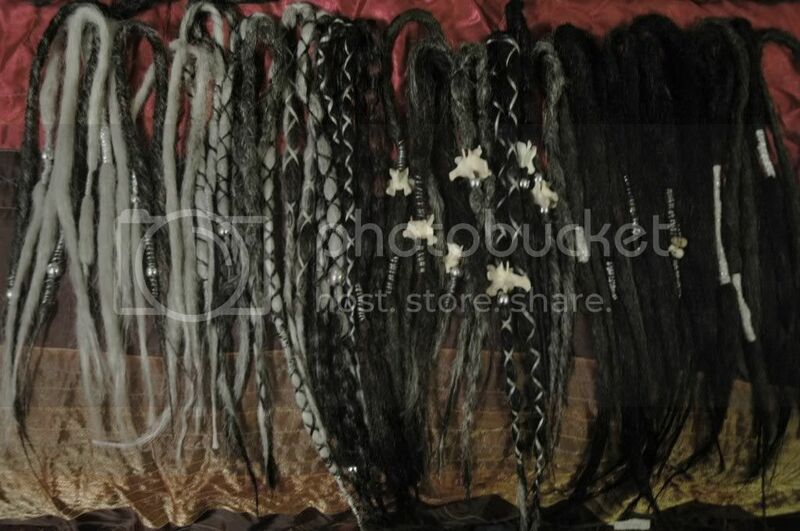 Do we need to scan/take pictures of our receipts to confirm that we have sent our dreads out? Leanna Moore wrote: I just sent out Jean's dreads today. Do we need to scan/take pictures of our receipts to confirm that we have sent our dreads out? 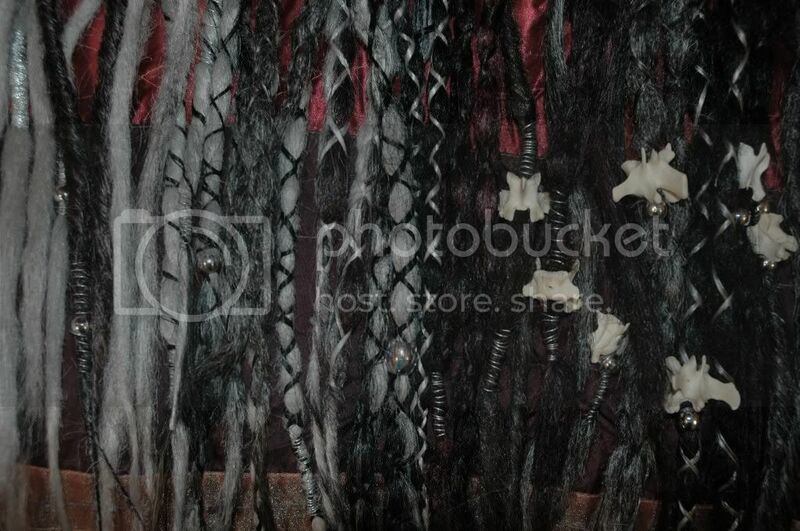 i just finished my dread set ..tho i could of been done two weeks ago and coulda ship them, i got lazy >_<. hahaha they were just sitting there and on saturday i decided to add the last minute touches. i was going to ship them today but it got all raining and i couldnt go due to the fact i dont have a car T_T. So i will ship them tomorrow for sure . i had lots of fun creating this set . will post picture after Jynx gets them that way it dosent blow away the surprise . Finished my set for phoenix! I just have to show it off. She wanted a monochrome post apocalyptic natural set I added some electric/purple twisted accent dreads if she i feels saucy. I plan to send out by the end of the week. Phoenix STOP reading now if want them to be a surprise! Librarynerd wrote: Finished my set for phoenix! I just have to show it off. She wanted a monochrome post apocalyptic natural set I added some electric/purple twisted accent dreads if she i feels saucy. I plan to send out by the end of the week. I missed the vertebra the first time! So drool worthy! dread_addiction wrote: i just finished my dread set ..tho i could of been done two weeks ago and coulda ship them, i got lazy >_<. ok then ill post them on the show off along with my other work of last month . 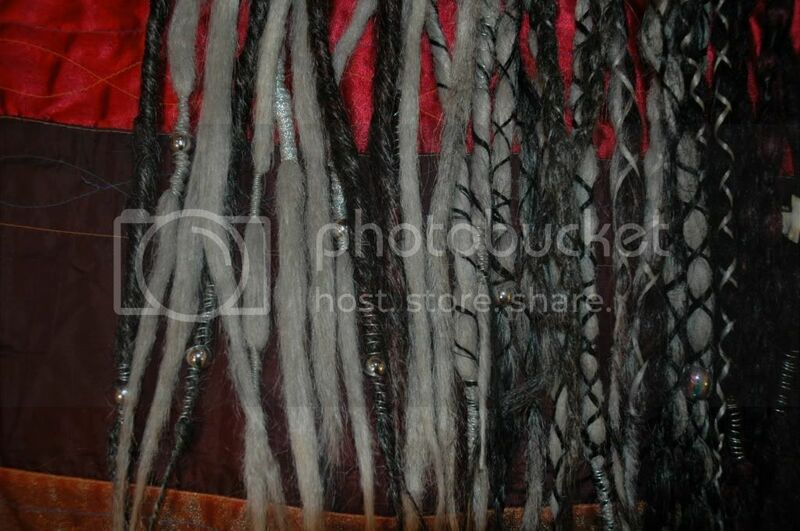 pictures of jynx dreads posted on the show off ...go llok if you like.